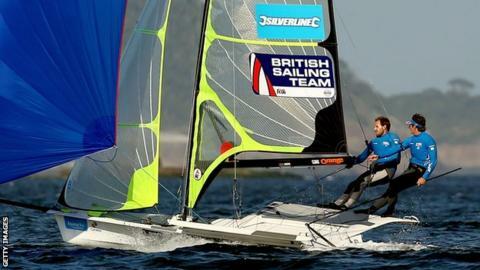 Great Britain's Alain Sign and Dylan Fletcher-Scott won bronze in the 49er World Championships. The pair started the final day in sixth place but they won the medal race to reach the podium in Florida. New Zealand's Peter Burling and Blair Tuke finished first with Austria's Nico Luca Marc Delle Karth and Nikolaus Leopold Resch in second place. The British female pairing of Charlotte Dobson and Sophie Ainsworth finished 10th in the FX class.